At ISEBahamas, we believe that being knowledgeable about a particular vendor's product is absolute key. Our engineers are fully qualified and trained in many areas and disciplines in the world of Technology such as Website Design, Network Support, Internet Security and Computer Forensics. In our efforts to further educate our prospective and existing customers, we will continue to provide technical tips for your interest and viewing. Please feel free to send us your comments or feedback. Is your network secure? What about the configuration parameters of the gateway that lead to the outside world? Will your Intranet (Internal Network) be vulnerable? Are your end users abiding by the policies provided by the IT team and management? These are some of the questions that CEO's, CIO's, IT Managers, and ALL "MIS" members will be confronted with at some point in time. You may ask the question, secure from what? Well there are several threats that are quite serious to a company or organization that are directly related to the IT team. We will cover some of these threats in a few lines down. All of which, can be quite damaging to the company's reputation, market positioning and possibly "financial" status. MALWARE - What is malware? I know we all heard one time or another about spyware, trojans and computer viruses. Well to put it simply, these are what we call Malware. Malware developers, always work to protect their products against antivirus software companies i.e.. Symantec (Norton Antivirus), MacAfee etc. This is an ongoing battle between the malware developers and the antivirus companies. Once the software vendors update their software, then the malware author or developer will supply a new version. This goes on and on. Hence, it is rather imperative that your company is up to date at ALL times with the latest antivirus patches, DAT files etc. Why is malware created? Who typically creates them and how is it spread? Well to further answer these questions, let us take a look at what one malware expert had to say. "Malware meaning computer viruses, trojans and spyware is about money. The teenagers who created the viruses have grown up and they are trying to make money. The shadow Internet economy is worth over $105 billion dollars. Online crime is bigger than the global drug trade. There is a sophisticated online black market with tens of thousands of participants. Collectively, online criminals are using the techniques of the free market to subvert and corrupt legitimate online business." "Malware developers uses the services of a botnet owner to spread it. A botnet owner is a remotely-controlled network of computers infected by a virus. Typically, they are poorly protected computers belonging to innocent people around the world. You may have a bot running on your PC now and not know it. These computers give botnet owners the computing horsepower and network connectivity to spam out millions of emails or send out hundreds of thousands of trojan attacks or host a malicious website. Once the malware has spread, the middleman can sit back and start to collect stolen information and identities." When it comes to policy, one size does not fit all. Your policy should reflect the way you do business. C. Stop it "calling home"
Millions of dubious websites spring up daily. You can't keep track of them all..
An innocent looking spreadsheet can carry a virus. A presentation can carry spyware. A zip file can contain any number of files that might infect your network. Companies that defend against hazardous web downloads are often completely vulnerable to threats going in the reverse direction. Your policy will determine if this is allowed or prohibited. Either way it should be monitored. That which gets measured, gets managed. Web security can eat up entire IT departments unless you simplify, automate and streamline. Blogs, forums, social networking, P2P file-sharing - it's all exciting stuff ; but it opens up new windows of opportunity for the people and organizations that make money from exploiting loopholes. Click here to visit the ICSA labs site where you can view a list of approved and tested firewalls that meet the industry standards. Small and large businesses alike, should ensure that their firewall meets these standards. DATA CENTER TIP - How cool is your Data Center? A Data Center should be climate controlled keeping the room at a constant 65 degrees with less than 50% relative humidity. This can be accomplished with redundant 20 ton commercial class A/C units; if the Data Center measures approximately 1,500 or more sq. ft.
How to extend your 10/100Mbps network connection up to 1.2 miles. 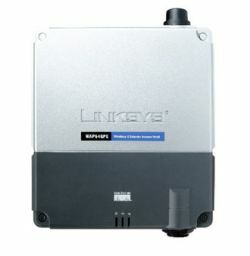 Extends 10- or 100-Mbps Ethernet up to 1.2 miles (2km). Symmetrical VDSL supports speeds of up to 30 Mbps. In a court of law, an expert is one who is deemed to provide a Qualified Professional opinion on a particular subject matter. A Computer Examiner who is "Certified", should definitely qualify as an "expert witness" in a court of law while providing valuable testimony. Whereas, other computer professionals do not qualify because of their non experience in the subject matter. If for some reason, you need to have an investigation done on a PC or PC's across the network, please ensure that the investigator is one who's opinion would be "qualified" or accepted in a court of law. An example of how computer forensics is affecting the current workplace is the aspect of security. Employees' work computers are now being monitored to ensure no illegal actions are taking place in the office. They also have heightened security so outsiders cannot access a company's confidential files. If this security is broken a company is then able to use computer forensics to trace back to which computer was being tampered with and what information was extracted from it, possibly leading to the guilty parties and other potential parties involved. In a business environment, there is lots of data transferred on a daily basis. Most of the data being transferred has lots of confidential information pertaining to clients or the businesses themselves. How can you the client be sure that information collected from you by the various establishments are properly secured? Click here to find out some questions you should ask businesses with regards to your private information that they have collected to be certain that it is secured. In today's world, technology is all around us and each and every year it becomes better and better. Gone are the days of the old antiquated analog home and office phone systems. We are now living in the days of the digital phone systems with all of the dialing and messaging features. 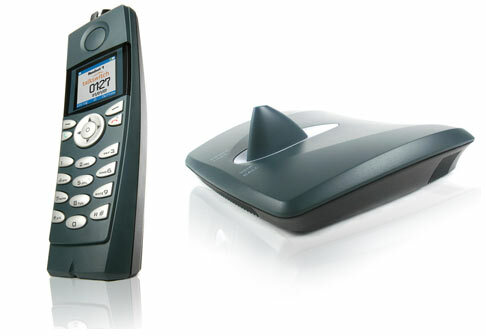 To add to this ever so wonderful technology, is the advent of the IP telephony solution. Having an IP telephony solution allows you to now connect your telephone over the internet through your LAN or WAN to say, a branch office. One big advantage of IP PBX or a VoIP solution is its low cost of operation. Since the calls make use of IP networks, even long distance international calls are many times cheaper. If the call is made between the phone systems that links the branches of enterprises, it is absolutely free of cost. ISEBahamas specializes in the smaller PBX telephony systems for small offices and homes; with brand names like Fortivoice 3CX and Panasonic. 1. How many users altogether will need to be serviced by the PBX system and is there room for expansion? 2. Will these users be situated in one building or in separate buildings at separate locations? 3. What percentage of the calls will be local as opposed to international or long distance? 4. Do I have a fax machine that may also need to be connected? 5. Will I have a receptionist, or will I need an automated attendant to answer and distribute the calls accordingly? 6. Would I need to have my voice messages sent to me by email or some other means of communication such as a mobile or land line? 7. Would I require music on hold for my customer's listening pleasure while on hold or waiting to be transferred? 8. Will I need to access my PBX system remotely to make configuration changes. 9. Will I be able to retrieve data call records simply without the aid of a technical person. 10. 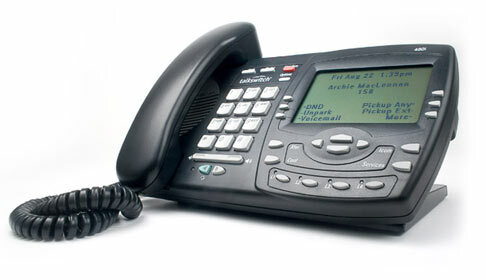 Will the PBX system be VoIP compatible, if it is not so already. Have you always wanted to be at home even when you were not at home? Ever wondered when you were travelling away from home, are my kids safe? What about when you and the entire family are away on vacation, did you ever wonder if the house or office was safe or at risk? CCTV systems work great whether for large or small offices, homes, Schools or Churches or any playground or area where you need to monitor activities locally or remotely (offsite). 1. How many cameras do you need to cover the areas necessary? 2. Will you require color video, or will black & white video suffice? 3. Do you need a camera that displays or records video during the night or in a dark area with little or no light? 4. What type of camera will you require at certain areas? 5. Will you need a video surveillance system that records the live video images? Is the recorder PC based - Hard Drive or DVD recorder based? 6. Will you need to access the cameras remotely to view the video images either live or pre-recorded? 7. Will you require sound from the cameras? 8. Will you need the camera system to integrate with other security equipments? 9. Will the cameras be connected via cable or is it a wireless camera? Contact us to see if we can be of assistance getting your premises protected today. "Take advantage of the opportunity to implement "Power Over Ethernet" (PoE) switches and devices to save costs when it comes to running addition power lines." "PoE devices will connect to a switch and receive power over the Ethernet cable that also supplies the data. Devices cases such as IP cameras, and outdoor access points no longer need to have a power line run to receive power. " 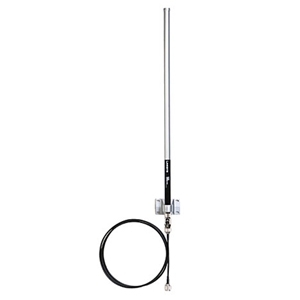 "Did you know that adding an antenna to your outdoor wireless access point can increase your signal tremendously"
"Always lockdown your wireless devices with strong encrypted passwords to help protect your network from rogue accesses"
"A simple outdoor wireless access point - also known as (WAP) used with a router will allow connection to remote office buildings"
"Easy to program and affordable, this base and cordless TS-850I IP phone can be configured on your Fortivoice PBX "
"Did you know that both of these IP based phones can be programmed and connected to your office sites around the world using VOIP "
"Easy to program and affordable, this TS-480I IP phone can be configured on your Fortivoice PBX "
"This can save you money when it comes down to long distance phone charges when calling Internationally "